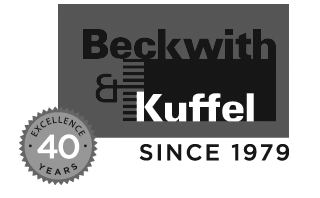 At Beckwith & Kuffel, our goal is to satisfy our customers, no matter how big the job! We've been serving the Pacific Northwest for 40 years, and we pride ourselves on the diversity and complexity of products and services we offer to our customers. Regardless of your industry - from Timber to High Tech - we have the experience necessary to do the job right for you the first time, every time.